UPDATE:- I finally got some answers to my questions. Whilst most of the leases have expired, this area is not due for “re-development”, re-use/ re-cycling of the graves, before 2018. More about this in a follow up post to be published shortly. I come to you with great sadness in my heart. Do you have family laid to rest in the Cheltenham Cemetery, South Australia? Right there on the corner of Port Road and Chippenham Street, Cheltenham is Section GX in our South Australia’s Cheltenham Cemetery and over 400 gravesites there are about to be/ or have already reverted to the control of the “Adelaide Cemeteries Authority” because their leases have not been renewed. 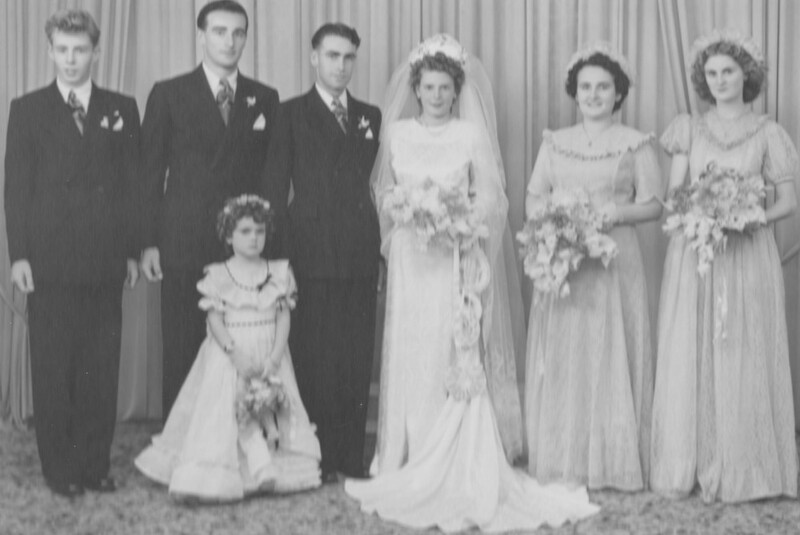 Many years of family history research resulted in me finally finding that my Great Grandmother was laid to R.I.P. in this GX Section at Cheltenham. I’ve now paid almost $1000 to keep her in the ground, and her burial place undisturbed, but this will run out in 7 years time and, despite paying out all this money, I still have no control over her gravesite. i.e. I am unable to tidy up the grave and/ or fix a memorial for her because I do not hold the lease. My Great Uncle who died way long ago is the person named as holding the lease and trying to find his descendants, to ask for them to sign the lease over to me, is like “trying to find a needle in a haystack” . However, that is another story, for another time. What a shock it was when visiting the many “rellies” in Cheltenham Cemetery, just a few months ago, to ensure that they were all still tucked up safe and sound, tidy up their graves etc… to discover that this same Great Grandmother’s gravesite had one of these horrific recycle notes stuck to it. Eventually the Records Department, of the Adelaide Cemeteries Authority, advised in writing that it was a mistake and the sign had been removed. All well and good but when visiting Grannie I saw that almost every grave, on both sides of that pathway, also had these warning notes stuck to them. I kept trying to shut out this information but eventually did have to go back and have another look. To my horror, I discovered that nearly every Grave in the GX section has a “lease expiry” notice affixed. Whilst absolutely disagreeing with the re-cycling of graves I do accept that, according to our South Australian Law at the present time, this is possible. What bothers me about these Graves in GX is that I’m unsure if the Policy of the “Adelaide Cemeteries Authority” has been followed. It sure was not followed in the case of my Great Grannie’s gravesite. At no time did I receive a letter advising of an expired lease… nor, despite my close scrutiny of the South Australian print media, did I see anywhere advertised the lapsed leases/ grants of the GX Section at Cheltenham Cemetery, South Australia. I’m happy to be corrected with clear evidence to the contrary. 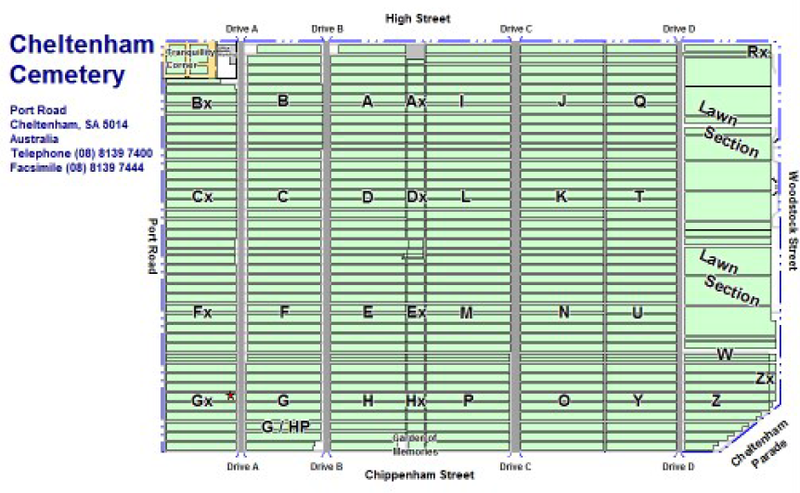 Furthermore, some of the information online re: the re-development of Cheltenham Cemetery is so out of date that it’s almost laughable… if we weren’t crying so much. 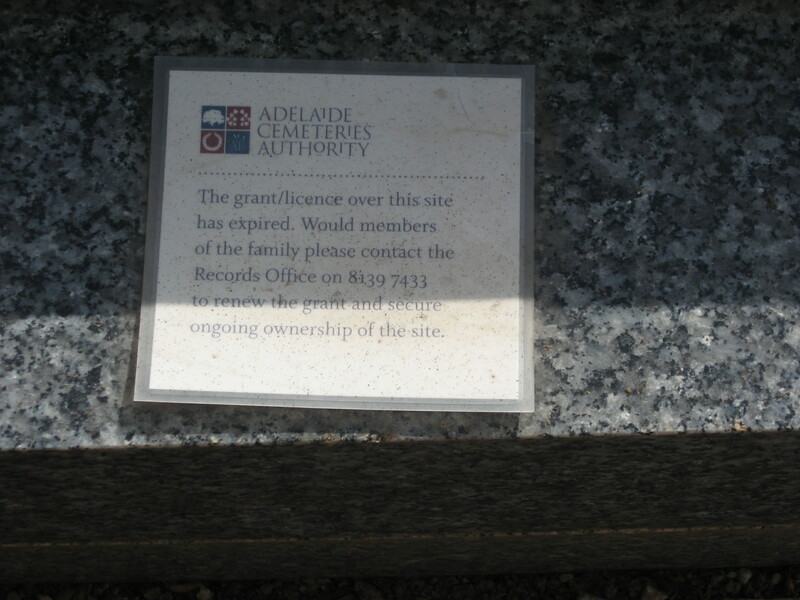 The South Australian Government is responsible for ensuring that the Board of the “Adelaide Cemeteries Authority” does their work in making sure that their employees follow the policy. I am expecting that our Attorney General, John Rau, will direct his employees to investigate my concerns with the utmost of expediency… because once these graves are gone, they can not be replaced. Hopefully my worries will be proven to be unfounded. FURTHER INFORMATION ABOUT THEIR “REDEVELOPMENT” PLAN WILL BE PUBLISHED SOON… Cheers. This happened at the Springvale cemetery in Melbourne to the plaques belonging to my deceased mother and sister. They were not buried there but their plaques were dug up as their 25 year tenures had expired and the cemetery could not contact the next of kins in both instances. My mother’s next of kin was her father who was also deceased when this all came to my attention in 2005 and my sisters next of kin is my father who had moved house and not let the cemetery know. As a result, both plaques were dug up and put in the store room temporarily. So, at great expense to myself, I paid 4 instalments for each plaque of over $800 for another 25 year tenure for both plaques. Both plaques are now back in the Rapids area at Springvale now until 2030 by which time will be 72 years old. So, I may have to do it again for them to remain there for my lifetime at least. I could not do a permanent tenure which I actually think is so wrong and unfair. RE Nikki “I could not do a permanent tenure which I actually think is so wrong and unfair.” Why is that?